Discover tools and techniques to implement an agile and nimble strategic planning process. 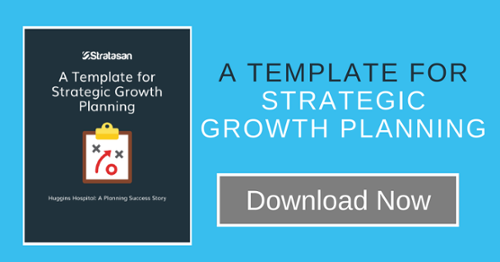 Learn how to build commitment by involving large numbers of diverse employees and stakeholders in the planning process without slowing down the process. Find out how to look beyond the “perfect” dataset, answer, or strategy and learn to embrace a direction adopted by the entire organization. 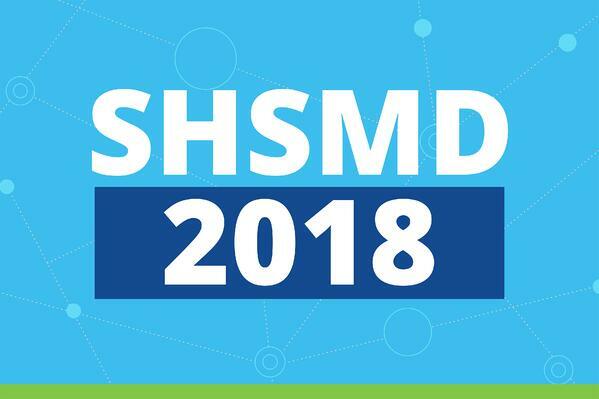 Read below for an overview of this presentation and if you are a SHSMD 2018 attendee and can't make it to this session in person, check out the SHSMD Connections Virtual Conference where you’ll have complimentary access to this session recording. In 2017, Huggins Hospital in Wolfeboro, NH, had a fairly new leadership team and an outdated strategic plan. Given the ever-changing healthcare environment, their plan needed to be updated to reflect the new landscape. They realized it would be valuable to bring in an outside partner, so they asked Stratasan to guide them through the process. During the strategic context portion of planning, 108 people, including employees, medical staff, board members, and community leaders, were interviewed to gather ideas for the creation of a new mission, vision, values, strategies, and goals. During the building the vision portion of planning, the leadership team used input from the interviews to draft a new hospital mission, vision, and values more relevant to the current and envisioned future environment. Huggins assessed strategic options by reviewing market forces information and completing exercises to coalesce their beliefs. In the strategy development stage, the leadership team created strategies and goals to fulfill their mission, achieve their vision, and pragmatically deal with the market forces. Huggins involved employees along with board and medical staff members in a large group meeting called “The Big Event.” Twenty percent of the organization's employees participated using large meeting tools and processes. The goal of this event was to create a common database of understanding, present the draft plan, and receive input into the strategy. By taking a slice of the organization’s DNA and involving them in the planning, Huggins jump started commitment to the strategy and the implementation plan. The final stage of the process involved implementation and commitment. The employees, medical staff, and board were involved in action planning across the organization based on the newly approved strategies and goals. All the input was compiled into a comprehensive document, complete with metrics and accountabilities. Implementation and commitment were kick-started because of the diverse, high-involvement process. Huggins created a video of the process for communication throughout the hospital and clinics. The ever-changing healthcare environment necessitates a readiness to approach the strategic planning process with an open mindset and a willingness to try new things. As you prepare for your next planning season, consider inviting diverse team participation, coalition building, and open collaboration. The end result might be the creation of a plan that is embraced by your whole organization, with a unified commitment to see it succeed.